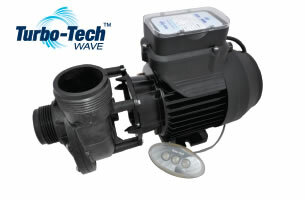 Building on our strong reputation in the Spa industry we are adding innovative new products like the Flood Alert, Ultraviolet Sanitation System and Turbo-Tech Bath Pumps to an established range of popular products like Aqua-Flo Pumps, Filters, Waterfall Features and Spa Accessories. © Copyright CSN Global Pty Ltd 2016 | Website & Graphic Design Brisbane by mopki. CSN Global Pty Ltd represents some of the largest and most recognised spa component manufacturers worldwide including Aquaflo, Gecko, Trident, Aeware, Lasco and PQN. We are trade distributors that supply Spa pumps, Spa Jets, Spa Fittings, Spa Filters, Overflow Alarm, Spa Accessories, Spa Ozone Units, Spa UV Sanitisers, Pool UV Sanitisers, Water Features, PVC Fittings, Spa Manifolds, Spa Control Equipment, Spa Audio Equipment, Spa Blowers, Spa Waterfalls, Pool Waterfalls, Water Levellers, Pool Valves, Spa Valves. Our extensive range of spa, hottub and pool products can be delivered Australia wide – NSW, QLD, VIC, ACT, SA, WA and NT.